The concept of the human soul and life after death is almost universally accepted among the people. One may not accept the existence of gods, deities, or ghosts, but if asked on the validity of souls and spirits, he/she is most likely to answer yes. Yet, to the naturalist, such a concept is very problematic, and being a naturalist myself, I’ll give a few thoughts on why the concept of the soul contradicts neuroscience, and is thus highly implausible. The soul is eternal, and it controls our body, as mind-body dualists love to claim. Consciousness is retained even after we die, and is passed on to our next body (whether it’s a human, animal, fairy, ghost, demon). But neural development challenges this belief strongly. The mind matures as the brain grows, as shown in this picture where our brain achieves full grey matter volume during our 20s. As we all know, when humans grow up, our thoughts start to mature, and begins to decline once we reach an old age. 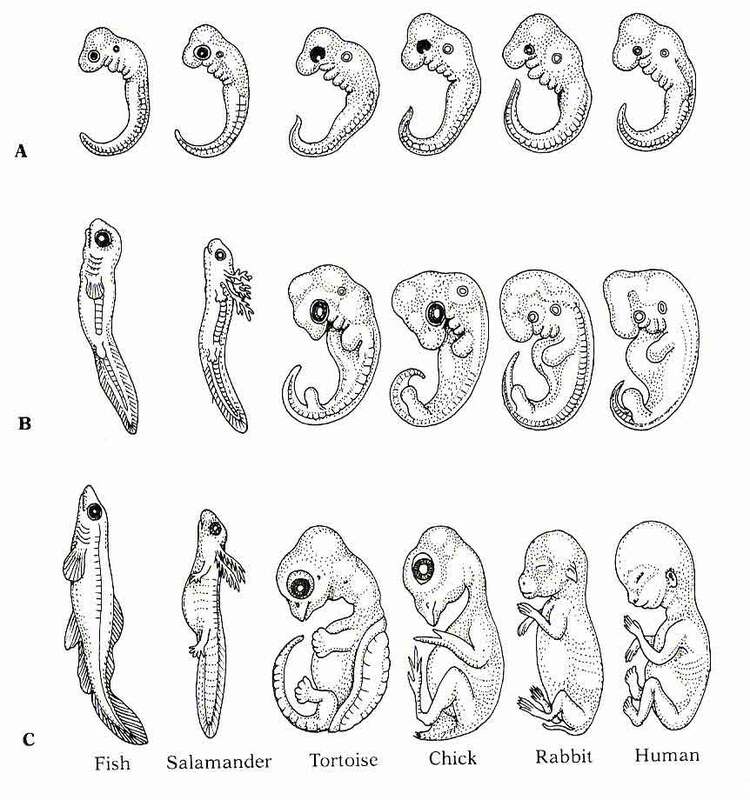 To the biologist/naturalist, the explanation for such a phenomena couldn’t be simpler: neural development. As we grow towards the adult stage, our brain starts to increase in complexity and amount of grey matter. Then, as we start ageing, our brain begins deteriorating, through a multitude of factors including DNA damage and free radicals damage. A dualist, however, will find this problematic. If the soul retains our consciousness and thoughts after we die, then one should be reborn with similar thoughts from the previous life. But that’s certainly not the case, as we’re born with almost nothing in our memory, and we don’t act maturely at all until we’re older. I put forward a simple question to all mind-body dualists: In which stage does the soul enter the body? Theistic evolutionists face a very problematic question: When did God decide to insert the soul into the human body in the passage of evolution? During the point where Australopithecus lived? Homo hablis? Homo erectus? Homo sapiens? Theistic evolutionists have a hard time agreeing on the exact point. The same problem is there for mind-body dualists. When does the soul enter the body? During the moment of conception? Gastrulation? When we become an embryo? Perhaps the moment of birth? Dualists will have a hard time agreeing on this. While this isn’t a rebuttal to the soul theory, it does present a problem in the soul theory. It’s widely accepted to any student of science that our senses are controlled by our nervous system, which sends information to our brain through electrical charges, and our brain will respond accordingly. Such a model doesn’t fit well with the soul theory. Here’s the 5 traditional senses. Obviously, all of them stop working once the specific nerves get damaged. If the soul is to retain full consciousness in the material world after death, then it must be independent of our nervous system. The soul must be able to receive information from the material world through another method, if it’s to work as dualists claim. Such is not the case. When a person’s optical nerves get damaged, he/she loses his sight; when his/her auditory nerves stop functioning, he/she becomes deaf etc. It’s very clear that our interaction with the environment is reliant on the nervous system. So either the soul loses all connection with material world once we die, or the soul somehow regains full consciousness the moment we pass away. The first hypothesis requires a radical change in the soul theory; the second hypothesis is simply laughable. If the soul is responsible for our consciousness, then why does patients with brain damage suffer from reduced mental abilities? In fact, neuroscientists are capable of predicting damage in which part of the brain will cause what kind of mental deterioration. The fact that mental abilities are subject to the state of the brain is at odds with common dualist anecdotes which claim that the soul can leave the body, or that the soul can keep on having thoughts in the material world after death. In this post, I have raised a number of problems that challenge the soul theory greatly. The phenomena above points strongly to the view that the mind and consciousness is the product of the brain, not the soul. Before any dualist manages to explain away those problems, I’m a naturalist. But I’ve only pointed the problems from the neuroscientist’s view. In my next post, I’ll point out why the soul is completely implausible from a physics point of view. "If the soul retains our consciousness and thoughts after we die, then one should be reborn with similar thoughts from the previous life". What on earth makes you think this!? And why is being unable to specify a time for when the soul enters the body problematic? I was saying that if the soul is responsible for consciousness and still be able to maintain consciousness after death, then it must be able to function independently of the brain. So here comes my question: Since we see that souls still think and act like they usually did before they died in most, if not all anecdotes, then why is it not so when we're reborn? Why to babies don't act or think similarly to what they're supposed to be in the previous life? And why do we see an increase in maturity of the mind proportional to the increase in grey matter of our brain? Now, you may say that one loses his/her memory/thoughts once he/she is reborn. That claim is without evidence, and simply makes the theory even more unfalsifiable. And, being unable to specify a time for when the soul enters the body doesn't disprove a theory (or more specifically, hypothesis in this case). I just raised it to show that how vaguely defined and unscientific the "soul theory", just as in the creationist's case. Coincidentally I was listing to Point of Inquiry when I saw this in my RSS feeds. They are talking about dualism, the mind and the brain. The best evidence that the brain is the seat of the mind is that brain damage can alter a persons personality. If the mind is separate from the brain how could brain damage alter a persons personality? Ian: If memory's are stored in a in the soul and that soul is reincarnated: why can't we remember our past lives? If the medium for memory storage is the soul and that soul is reincarnated shouldn't we have access to those memory's? If the memory's are erased than how is reincarnation any different from just dieing with out a soul? Either way who you are, where and ever could be dies with you. If the memory's are blocked off then your soul isn't you, it is a separate entity that has access to your memory's and when you die your gone as if you never had a soul. Reincarnation has a whole lot of philosophical problems most of which lead to reincarnation being no different then just dieing; no soul, no reincarnation, no afterlife. Thanks, Lone Wolf! You explained the concept better than me! Your post successfully refutes the soul in reincarnation, and the soul as a source of intelligence, but you have not yet refuted the soul regarding a non-reincarnation (heaven/hell) afterlife, or no afterlife at all (the position I run across the most), as well as a soul that does not produce intelligence. Any arguments against those? This post makes me feel like writing another one on the soul and mind body dualism. The person is born and dies. The soul is the feelings, thoughts and emotions at any time. After death soul and body die because they are one. At the resurrection, an whole new body and soul are given -- much like the last but better. That is one major version. No problem there, I think, for the neuroscientist budding in you ! CRL: Regarding the heaven/hell view, I may not be able to refute it using neuroscience. If the soul here isn't able to leave the body until death, in which it goes directly to heaven/hell without interfering with the material world for even a moment, then it's unfalsifiable, since I cannot know how things work on the other side. On the other hand, I'm quite new to the theory stating that souls only have one life, and the one which says that souls aren't responsible for intelligence. Can you explain the concepts in more detail? Thanks. thearmchairantichrist: Great! I look forward to your views on this topic! By the way, if the soul and the body are one, then what's the difference from the naturalist's view that the body is all there is? BTW, Darren, it is not my view, but one of the orthodox Christian view. It has no conflict with the naturalist view except for the resurrection part. As humans we have a chance to make a soul in this life, if we make a good one it survives. That is from Gurdjieff, if I remember correctly. And Gurdjieff's view can be refuted using the points I stated in my post. No, I don't think Occam's Razor takes care of it. You see, it discusses this life AND the next. Naturalism is just this life. So Naturalism is not more elegant since the domains are different. Gurdjieff's views are not refuted either because he does not declare the soul to be a repository of memories and personhood in the senses you define it. It would be nice if this could be all nice, neat and tidy ! Sabio: The reason I think the naturalist view is simpler is because the claim that our souls are resurrected is unfalsifiable, as no memory is retained when we're ressurected, and thus the hypothesis cannot be tested the scientific way. And where's the evidence for the existence of the soul? We do have overwhelming evidence for the brain's existence. However, according to the creationist, I can't prove that I have a brain, since I've never seen it. Unfalsifiability is not the end all. String Theory, for example, is still unfalsifiable. I know, but we can also use probabilities as well to judge how valid a theory may be. And correct me if I'm wrong, but isn't string theory still under dispute from physicists? Indeed, String Theory is under dispute. I personally have never found it inviting and am a fan of Loop Quantum Gravity Theory or something like that. Yes, still disputed by Physicist. Check the link I gave you ! Sorry, that was an accidental double post. I wasn't arguing from my own view either. The first view (heaven/hell)I put forth was the standard Christian view, the second one is what I hear from most non-naturalistic atheists, and believed for a month or so during my transition into atheism. I suppose they are both unfalsifiable, I was just hoping you had found a way to falsify them! CRL: No worries, I didn't say that. Actually, since the heaven/hell view assumes that the soul is responsible for consciousness, it can be refuted using some of the points a stated. The second view, however, is one I am not familiar with, and it would be helpful if you can define it more clearly. Hmmm. It seems to be one of those views which is purposely undefined, so as to be impossible to reject, and favored by those who have not considered the matter in detail. My understanding of this view is that human beings (or all higher animals) have a 'spirit' which, while not responsible for thought, does control some aspects of the personality. This could be refuted with examples of brain damage impacting personality. Of course, chances are, no one will listen to your refutation! Some people with this view do not believe that the 'spirit' affects personality. What these people do believe is an open question, even to themselves. brain is also responsible for the manifestation of experiences.Really experiences changes or ceases when the brain is damaged.But it has nothing to do with soul.The only evidence presented by the Neuro Scientists to disprove the existence of soul is the function of the damaged brains. existence? Many people have the trouble with the name. I hate to use the terms such as atheist,theist,materialist,spiritualist, monist,dualist, naturalist etc which are all man made divisions due to not knowing the truth. All sensations are arising as a result of brain process.But the soul or real self or atman or X is the experiencer of all sensations. X is not the brain. Man is making many divisions. You divide your self as atheist. It is also a kind of superstition or mis understanding. Soul is not the problem. Life is the problem. Our existence is the problem. Are you not aware of the human sufferings? First solve the problem of human sufferings mainly the sorrow of death. Then all other problems including soul will vanish. Why you all divide you without knowing your self and make arguments with the little knowledge in Neuro Science.Because Neuro Scientists are unable to explain how a sensation like pain or taste arising in the brain.Then what is Neuro Science? Can you answer the fundamental questions of human existence? Why you are all worried about the soul without knowing your self and without knowing your brain absolutely. You say you are naturalist. But do you have clear understanding of nature? If so please explain how matter came into existence? We do not have clear understanding of any thing. So we are also in darkness and misery.If you know your self and brain with a complete knowledge answer the following questions. 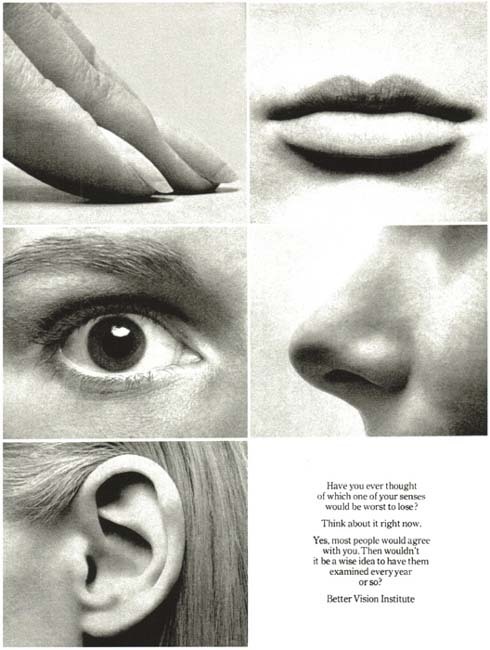 (1)How a sensation arises by brain process?How electrical signals are converted to experiences Such as taste,smell, perception, hungry etc? (2) When a man is suffering with pain really which experiences the pain sensation?Which suffers with the pain? (3)I can experience all different sensations. So there should be a centre in the brain to experience all sensations. which is the centre in the brain? If no such centre in the brain which experiences all sensations? (4) What is process involved in the brain during the change of following states? Sleeping state, waking state, unconscious state. Why no response from you? Is your scientific knowledge lacking to answer my questions? What do you claim that the soul is? No, I don't want to hear what the soul does, I want your definition of the soul, not its functions. Then give evidence that it exists. Darren need not know the answer to your questions to make his case. The point is that there is only evidence for a physical substrate of mind. My response to your questions follow. 1) You ask for the mechanism of converting physical input into sensation. Most of the basic mechanisms by which a physical input (eg. light, sound, touch, temperature), is converted into neuronal activity has already been elucidated. The presence of light-sensitive proteins, stretch-sensitive ion channels and heat sensitive ion channels are sufficiently established to be taught at undergrad level. A great deal of work is going into the mechanisms of sensation processing. What you perceive and what your eyes actually see can differ substantially. 2) Pain can result from activation of specific nerve fibres and these have been identified and there is much ongoing work on them. It is true that the activation of these fibres can be suppressed in some case by the central nervous system, but this hardly refutes the idea that this is one mechanism by which the sensation of pain is generated. 3) You reason that there must be some sort of "centre" to experience a sense of self. This is in dispute. In any case, perception of sensation is inextricably linked to the way that neuronal signals from sense organs is processed. In some cases, specific defects in perception can be linked to particular areas of brain damage and can be reproduced in animals by disrupting the same brain region. 4) What are the processes involved in sleeping, waking and unconscious states? This has been extensively studied and different activity patterns have been identified. Attention and awareness are being studied by use of fMRI in humans and implanted electrodes in animals. I'll say though, while I don't know a lot of the details, Darren's case is a lot more solid than yours. You don't have a scrap of evidence, hell, you don't even have a proper definition of things. You only have word games and the argument that if we don't yet know the mechanism, there is no such mechanism. That's a fallacy by the way. We have evidence that the mechanism exists, we just haven't figured out each and every component of it. "Has science created a better world now? Has science created a safety world? Has science solved the problems of fear of death and sorrow of death? There is risk of life in every corner although there is vast development of science. Have we understood all existence including our self scientifically?" Yes, science has created a better world, enabling you to post this comment. People live longer lives and as for your dig that science hasn't conquered death, well, the war is ongoing. The rest of your comment is simply incoherent. Do you mean to ask if we've elucidated all there is to know? No we haven't, but we've made and continue to make remarkable progress. You have not answered my questions correctly.You say Science has created a better world enabling me to post this comment. It may be a better world for you because you are not aware of the terrible human sufferings in this world mainly the sorrow of death.There are uncontrollable natural disasters like earthquake, tsunami,cyclone,flood etc.There are incurable terrible diseases such as cancer,dementia, packinson disease,stroke, brain and spinal damages etc.There is fear of war and terrorism. Do you say it is a better world with all these problems? There is a vast development in technology and medicine. But risk of life also very high. People are living longer life by eating plenty of pills for many years with the suffering of incurable diseases. Medical Science really helps us to relieve pains and sufferings.but not all pains and sufferings. So pains and sufferings still continue in this world. It may be a better world but with fear of death. So there is no real peace and lasting happiness in this world. You are used to see things within the scientific limits of definitions and evidences. So you can't go beyond these limits. You need evidences and definitions for every thing .But the best proof or evidence is seeing something directly. Can we see evolution directly? Can we see big bang directly? Can we see the origin of matter and energy directly? When you taste sugar you feel sweet sensation. It is a direct experience which can not be proved with evidences. Can you prove that you are experiencing sweet sensation? What is the definition for sweet sensation? .So there are many things beyond the limits of definitions and evidences.You are asking me definition and evidence for soul because you are conditioned to see things within the limits of evidences and definitions .I do not want to use this term soul. I have to use this term only for the purpose of my explanations where people present wrong explanation to disprove its existence.. It is not necessary to use the term soul .But if anyone use this term soul really it means their own existence. What is the evidence you need for your own existence? Neuro Scientists are unable to define what is mind and what is consciousness accurately.. Many definitions and explanations are given by many Scientists and Philosophers. Because one thing they could not understand the reality of consciousness and other thing really there is no such thing as mind or consciousness except experiencing sensations. Mind is only a term being used for the purpose of expression. Consciousness is a scientific word game as you said. I don't use word games. My problem is to find answers to my questions about our existence to free our self from the sorrow of death . Many . Neuro Scientists and Philosophers have the trouble with the name soul. Darren also has problems with the name soul. Really there is no separate existence as soul other than our own existence.Since our own existence is a mystery no harm to call it soul or by any other names. Really we have only experiences. Nothing else. So there should be an Experiencer to aware of all arising experiences.It is true that experiences depend on brain. Our experiences are altered when the brain is damaged.But the Experiencer is different from experiences. Experiencer is soul if any one use this term. Many people including many Neuro Scientists and many Philosophers identify the experiences as soul or self and making all the wrong statements and wrong proof by showing the effects of damaged brains. So damaged brain which alters the experiences is not a valid and solid proof to deny the existence of soul whether it exists or not.So there is no truth in Neuro Science to make an evidence to disprove the existence of soul or some kind of existence more than the brain.But to the contrary Neuro Science gives evidence to the existence of some kind of existence which is not brain. My first question reveals that there should be some kind of existence which is not the brain. We may call this existence as soul or by any name. Please answer my deep and important questions first. These questions are purely biological. Neuro Science use the term consciousness without understanding clearly what it is and how it arises.So Darren cannot find any evidence in Neuro Science which is still unable to understand the human brain completely. It is not he point to conquer death. We should understand the reality of our existence to free us from the sorrow of death.. The term consciousness has no real meaning and understanding .I don't say soul exists or not exists. It is not my problem. It is a meaningless problem to many people who do not aware of the real problem of our existence. My problem is to solve the problem of human sufferings. Please answer my 23 questions on Neuro Science and Real self which are available with my explanations at Neuroscienceself.blogspot.com to end the problem of sorrow of death. I have to write my comments against Darren's argument because he has given wrong evidence to disprove the existence of soul. His argument is irrelevant. It all comes down to whether you believe truth can be distilled through experience. A person mediates, it expands their understanding of reality through altering their perception. 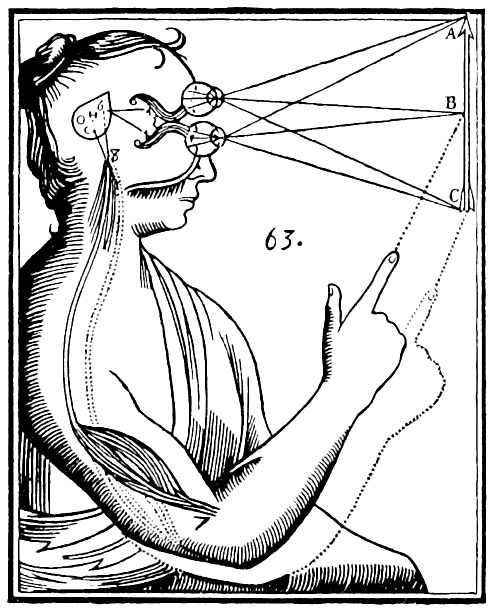 A person looks through a microscope, their perception and understanding are altered as well. All the eastern philosophies are word plays because their describing an experience that only they have a point of reference for. When we hear them they sound vague and like non-sense, but to them their are using language and metaphor to describe their experience of the world. And if any of you are artists you'll know, no matter how talented you are, you'll never capture the full scope of experience. And their texts act as only guides to open the mind to different ways of looking at the world. Looking solely through either lens will only reveal part of the truth. You want to understand neuroscience, go actually learn it. You want try to tackle eastern spiritual beliefs, go and practice them. You want to find where and if they intersect, be open to learning both. Over all we need to expand our notions of truth, and walk through the world with some more curiosity. You are only able to notice what I said about Indian sages. That is not an important thing. If you know neuroscience please give important to my questions in my comments and answer them. I don't see the reply button so I'll do it like this. Lone Wolf said: "If the memory's are blocked off then your soul isn't you, it is a separate entity that has access to your memory's and when you die your gone as if you never had a soul." I believe in reincarnation and I consider this correct. The point of this memory, that remembers all your past lives and this one, isn't to save some specific organism from death. I don't believe in reincarnation to console myself that "I" won't die. Because I will. So what's the point of this "memory"? Between death and re-birth, "you" have access to it. But upon receiving access, you're no longer "you" from the life you just had. You're thousand or maybe millions of people. Based on the content of this "memory", you "choose" where you'll be reincarnated next. It's not a very conscious decision. Why? Imagine you're in a new, scary place. But you see something very familiar which will provide you a sense of security. Most people choose their reincarnation like that. I do not want to call it soul. I don’t know what soul is and I don’t know what do you and others mean by soul. Your arguments are wrong. I have observed many wrong statements in your article and in the comments which have been made due to misunderstandings and lack of understanding of their own existence. Without aware of their own existence you and others see the name soul and make it a problem. Really there are scientific facts. But there are limited. Science solves human problems but not all problems. You are a skeptic and atheist. So you are alarmed by the rise of superstition, pseudoscience and religious fundamentalism. Are you not alarmed by the incurable diseases and the very serious dangers of accidents, war, gun shooting, bomb blast and the natural calamities such as earthquake, cyclone, flood? Are you not aware of many superstitious thoughts and conceptions in the scientific world which mislead the people? I do not want to use the term soul since this term is misunderstood. I prefer to use the term inner being. The inner being needs a brain to experience this world. Because this world manifests through this brain. We feel that we are conscious only when we are able to experience the world. So leave consciousness and give importance to conscious experiences. So the inner being is not responsible for the arising of experiences. Really the brain is responsible for the arising of experiences. That is why the anatomy and physiology of the brain affect our conscious experiences. But the desire of the inner being to experience the world is the cause for the brain to involve in the arising of sensations. The Neuro scientists do not know the affects of desires in our life. The inner being cannot think without a brain. You are misunderstood. The inner being uses the brain to think and to act and to feel the worldly experiences including the bodily experiences. The worldly experiences and bodily experiences come into existence with the presence of brain. Different experiences of the world develop simultaneously with the development of the brain. Here I mean experiences not mind or consciousness. Because there is no clear understanding of what is mind and consciousness. Soul or inner being doesn’t keep any thoughts after death. Even while we are living we are not keeping similar thoughts. Why one should reborn with similar thoughts? Can we always have similar thoughts? Do we have similar thoughts in this life? What a false statement? We are unable to remember many things happened in our present life. So how can we easily remember our past life memories if existed perhaps? But memories may be in an inactive dormant state. The impression of those memories may shape our present life. We are unable to remember many things happened in this life although those things are stored in our memory in a form. So is it easy to remember our past life, even if exist? Do you know that sometimes our memory which is the past is a hindrance for our present life? Previous life if exists, the previous memory definitely will disturb the present life. Death may be a cleaning process of physical as well as psychological. We want a fresh life with new memories. So old memories should go inactive. But the memories whether in the past life (if past life exists) or in the present life may lie in an inactive state and may affect our present life. It may be a natural process. You are a naturalist don’t you know? Normally we do not want to keep anything old. We dispose and buy new things, why? Atheism, skeptism, naturalism, dualism are all false labels. Do you say that the burden of your false labels are carried to next life if exists? You say “Our senses are controlled by our nervous system, which sends information to our brain through electrical charges, and our brain will respond accordingly and such a model doesn’t fit well with the soul theory”. What you saying is the movement of physical body. When we touch a heat material suddenly we take our hands out. But don’t you aware of the heat sensation being felt by you. How it arises? Can you please explain how heat sensation arises through the brain? Neuro scientists are unable to answer these questions. They don’t know how to look inwardly. They don’t know what is happening in our inner world. They only cut the brain deeper and deeper endlessly and make all wrong statements. You, as a naturalist have only pointed the problems from the Neuroscientist’s view. So it is not your findings. So you repeat what others have said. Can’t you see your own existence on your own? Why do you depend on Neuroscientists to see your own self? Neuroscientists are still unable to heal the brain damage, Parkinson disease, Alzheimer’s disease etc. They are unable to solve the problem of sorrow of death and fear of death. What is that Neuro scientist view? They are unable to understand the mystery of consciousness. They have not found any significant truth about consciousness for you to argue from their view. Whether atheist or theist whether naturalist or non naturalist all feel sad when their loved ones dies. So death is very serious problem not the soul. If Neuro scientists can bring the dead back then they are really great. You also say that why the concept of the soul contradicts neuroscience. Really the concepts of Neuro science contradict our direct inner experiences. There is no concept of soul. Really Neuro scientists’ statements contradict our reality of existence. Really there is no soul theory. So what it means to say that they have found something to contradict soul theory? They only found the effects of brain damages. That is very simple. It is shame that they are unable to heal the brain damage and your arguments are based only on that finding. You ask when did God decide to insert the soul into the human body in the passage of evolution and When does the soul enter the body. Do you know what time is? Is time really exists or time is a mental imagination? Do you know the time when all existence came into existence? If you understand the real nature of your existence then you will not ask such questions. “You” are the problem. When you are hungry you need food. You always need oxygen. When you have pain you run to the doctor. You have the problem whether soul exist or not. So you are the problem. Only thing you all know is that brain damages alter our mind or consciousness. 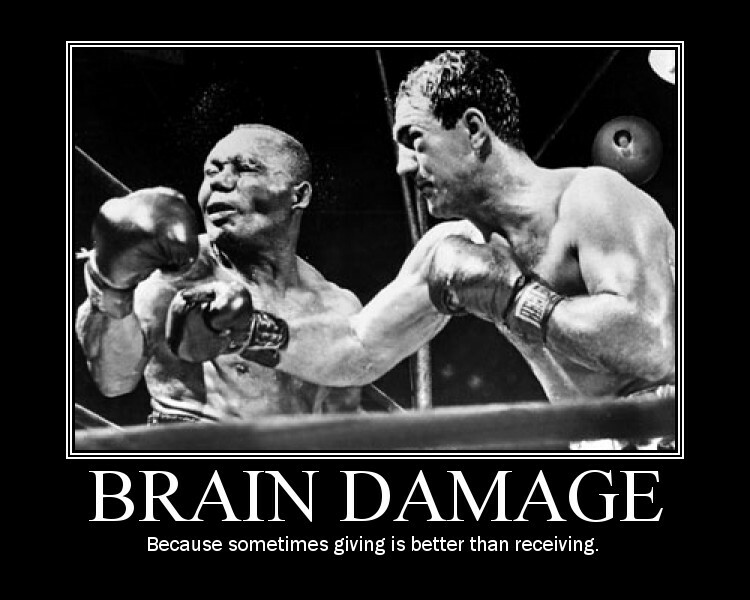 That is true in the sense brain damages alter our experiences or stop our experiences. Please talk about experiences. You all don’t know what consciousness or mind is. So leave all those terms. Even Neuro scientists’ do not know. That is why they are making misleading wrong statements. You all say “Brain damages alter our mind. So mind is not separate from brain and there is no soul”. This is the only slogan you are all repeating again and again in your articles and comments. You don’t know anything deeper or more than this slogan. Why you are all bothering with the name soul? Why do you make the soul a problem? You are the problem .Not the soul. So try to understand what you are and not what the soul is. You don’t know what you are but making all the irrational explanations by carrying the false labels such as naturalist, atheist and skeptics. If you all can answer my questions then that is a great thing. Otherwise calling as atheists and Skeptics is not great and that will not serve anything to the suffering man. You are all present your arguments against the belief of afterlife and reincarnation. Before talking afterlife you should understand your existing present life. Are you able to understand your existing present life first? If you can understand your present life you will be able to answer all my questions which appear in my previous comments. You ask if the mind is separate from the brain how brain damage could alter a person’s personality. There are terminological errors in this statement. First of all we should understand what it means by person and personality. What do you mean by person or personality? Really brain damages alter our experiences. Neuro scientists identify experiences and emotions as a person or personality which is a wrong identification. This is their mistake. The inner being is different from emotions and experiences. If there are two separate things connected to each other when one is affected other thing also gets affected. I am in a house. I and house are separate existence. When a cyclone damages the house I may also get injured. So your argument is wrong. This is the only argument put forwarded by many persons to prove that there is no soul. What is mind? What is consciousness? You are all using such terms without knowing what these terms refer to. According to your argument one thing mind and consciousness is the product of brain. Other thing consciousness and mind is not independent of brain. Both statements are contradictory to each other. Intestine produces enzymes. When produced enzymes become separate things. In a soap factory when soaps are produced soaps become separate things. If mind is produced by the brain it should become a separate thing. In your explanation I note two things. (1) Expansion of consciousness in line with the development of brain. (2) Alteration of mind due to brain damages. You ask why we see an increase in maturity of the mind proportional to the increase in grey matter of our brain. What do you mean by mind and maturity of mind? 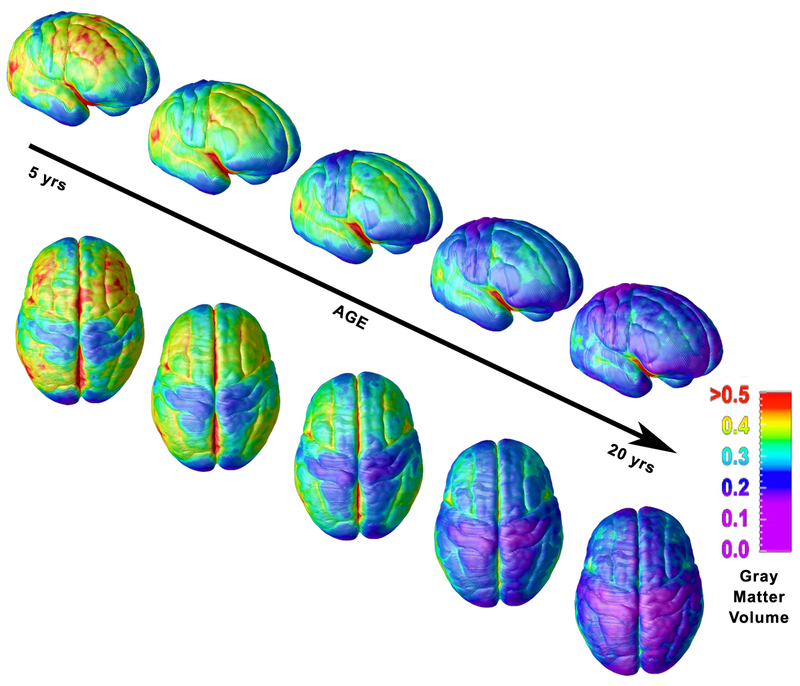 Really our sense of experiences develops proportional to the brain development. There is maturity of sense of experiences with development of brain. It has nothing to do with the inner being. Inner being needs a brain to have worldly experiences. The worldly experiences disappear with the end of brain function under normal circumstances. The inner being again begins to feel the worldly experiences gradually with the development of the brain. You may ask what is that inner being. I say that you are the inner being. So find out what you are really. You cannot imagine the inner being. But it exists. It is the living being. Without biological cells we do not feel that we exist. But we are not biological cells. Without conscious experiences we do not feel that we exist. But we are not conscious experiences. You want to see the soul as a separate existence from you. That is the mistake. Don’t think of soul. It is a name. Think of you. Look at you inwardly. Really inner being is nameless. We give names such as soul, naturalist, atheist, theist and all the nonsense. I know very clearly that Neuro scientists including you do not know exactly what is consciousness or mind. But you are all using these terms without knowing what these terms refer to. Here I don’t want to explain what these terms mean. So leave these terms. But we all know very clearly and understand very well what a conscious experience is. We have conscious experiences like feeling hungry, hearing sound, tasting food, feeling a pain etc. People may not know what is mind or consciousness. But they know very well what is the sense of hungry or taste. So we will talk about conscious experiences and about “you” not the soul. Because “you” feel or know all conscious experiences. It is true that our conscious experiences expand with the development of brain. That is very simple. When the power of microscope is increased our power of vision also increases. You ask if the soul is responsible for our consciousness, then why patients with brain damage suffer from reduced mental abilities. It is also true that our conscious experiences change or disappear when our brain is damaged. First understand what consciousness is. Soul or inner being is not responsible for experiences. Really due to distorted experiences the patient with brain damage suffers. When you eat a damaged apple you feel a bad taste sensation. Likewise when the brain is damaged we may suffer from bad feelings. That is very simple. But that is not the case. I have already said that “you” feel all the conscious experiences. So the important question is what are you? Are you the brain? If you are brain which part of the brain? That is the real problem. Not the soul or God. You talk about religious superstitions. But talking about consciousness and mind without knowing the reality of mind and consciousness is a dangerous superstition in Science. Really the worldly experiences begin to increase with the development of brain. So the inner being we may call soul or atman begins to feel the worldly experiences in a progressive manner. As we start aging our brain begins deteriorating. That is true. So our worldly experiences also start to diminish. When there is no light we can’t see. That doesn’t mean we are also dead. I don’t say that soul is responsible for consciousness. But you say that soul is not responsible for our consciousness. So please tell how consciousness arises through the brain. Do you know how consciousness arises? Why do we need a soul to reincarnate? Can’t we reincarnate without such thing as soul? You ask where the evidence for the existence of the soul is. There is no such thing as soul separate from you to prove or give evidence. It is only a name for your own existence. What evidence you need for your own existence? Have you any doubt whether you exist or not? So what are you? What is the real nature of your existence? That is the real problem not God or soul. One thing is true that Scientists have not created this universe. So creation is a mystery. Scientists can’t create anything. They make something from already created stuff and say that they can create life. That is wrong and misleading. We may be an atheist or theist. Are we all ready to die? Don’t we have the fear of death? Don’t we feel very sad when we lose our loved ones? So death is the very seriousl problem not the soul or God. Understand the real problem and try to solve that. That is the real person not the naturalist or atheist.